Thomas Clarke, a licensed retailer in Portugal Cove-St. Philip's, said he expects to run out of product in the early days of legalization. Legal recreational cannabis will be available for sale as of 12:01 a.m. Oct. 17, and Thomas Clarke already knows who he'll be selling his first legal gram to. "My father is going to be my first customer, and my second customer is gong to be a lady who has [multiple sclerosis]," said Clarke, who owns Thomas H. Clarke's Distribution cannabis retail store in Portugal Cove-St. Philip's. Clarke's store is one of the 22 licensed cannabis retailers that will open Wednesday, along with the provincial online retail site. He thinks that he'll see a wide variety of customers through his doors once marijuana is legal for recreational sale, everyone from young people who smoke recreationally to middle-aged adults and medical patients. Canopy CEO Bruce Linton vowed he'd be the first person to buy legal marijuana in Canada, at Tweed in downtown St. John's, as the clock strikes midnight. However, adverse weather with high winds and rain has meant flight delays, so it's unclear if Linton, due to arrive in St. John's late Tuesday, will fulfil his goal. CBC N.L. will be live downtown at 11:45 p.m. NT on our Facebook page, with coverage as the first Canadian province with legal marijuana. But those customers won't find a broad selection in the store's early days. So far Clarke only has products from two producers, Canopy Growth and Aurora. CBC News got a look at what some of the products that stores like Clarke's do have available for sale on Wednesday will look like. A package of two pre-rolled joints from Aurora will sell for about $13 in a plain white box with the federally required labelling. A package with seven grams of marijuana from Aurora will sell for $80. It comes in a black childproof container that must be opened like a pill bottle, with a white label. The least expensive products will cost about $7 a gram, including taxes, and up to about $14 for premium offerings, Clarke said. The marijuana retailer with the most locations in province isn't anticipating any problems, however. Catherine Thomas, senior director of external communications with Loblaws, said she expects all 10 smoke shops attached to Dominion stores to be open Wednesday at 9 a.m. with 30 to 40 different types of products, like dried cannabis, oil and seeds. Thomas said there may be some increased security in some locations, but much will remain unchanged from its current tobacco shops. "[For] most people, if you walked in last week and if you walk in tomorrow, you really won't notice a difference in those stores," she said. "When a customer goes into one of the existing ones, there's going to be two small signs in the shop: one notes that recreational cannabis is available, the other will be a product list." Thomas said the company has been focusing closely on its cannabis sales in N.L., but as licensing rules differ from province to province, its 10 Newfoundland locations are the only ones of Loblaws' more than 2,500 stores that will sell pot. The Newfoundland and Labrador Liquor Corporation has hired seven licensed producers for the province, he said, but various hiccups with packaging and licensing mean he doesn't yet have their products on his shelves. Clarke expects other supply issues to be a problem in the short term. Canopy was able to send only about 65 per cent of his order, he said. "I suspect that by Friday I will be out of cannabis, and I hope that I can be restocked again by Friday afternoon or Saturday," he said. He predicts that the legal market will dry up completely in two weeks, but said that by three months into legalization he expects to have a steady supply of dozens of strains of cannabis with different packaging options, from pre-rolled joints to 30-gram packages. 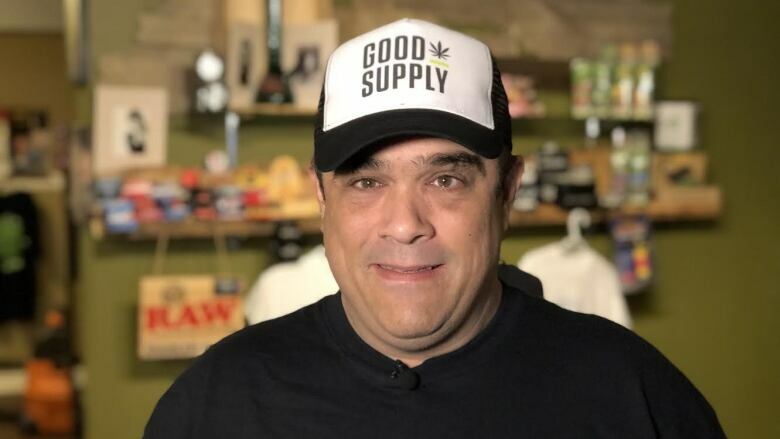 Regardless of the possible problems, Clarke said he's excited for legalization and hopes the safety and variety of the products, plus the knowledge of the retailers and their staff, bring people from the black market to stores like his. "I really look forward to serving all the cannabis users in Newfoundland, and I hope that they come out." The City of St. John's says it's ready for legalization — because not much of the work fell to them. 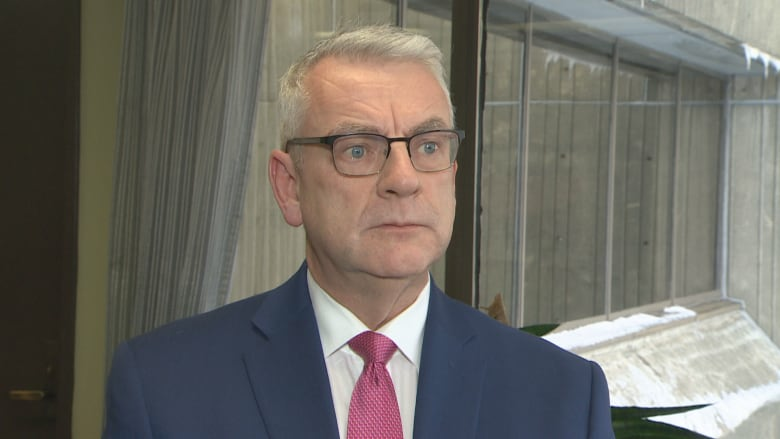 Most of the regulatory involvement for legal marijuana falls to either the Newfoundland and Labrador Liquor Corporation or the provincial government, Mayor Danny Breen says, so the city's involvement is minimal. The main concern the city had was around potential odour from processing facilities, he said, as some of the city's commercial zones do not allow a business to emit a noxious odour. The city confirmed that the production wouldn't create problems and was able to proceed with approvals. The flip side of the city's lack of involvement is there won't be a great deal of extra money coming the government's way from legal weed. "We don't make any money and we don't get paid any portion of the proceeds from it," Breen said. "Since we don't provide police, as other cities do, then we would get no revenue from it." Most municipalities pay for police protection, but the Royal Newfoundland Constabulary is funded by the provincial government and is responsible for policing in the metro St. John's area. The new cannabis-focused businesses will be paying business taxes, as will the large production facility being built, but otherwise proceeds from legal cannabis will not head the city's way, Breen said. What lessons can N.L. learn about cannabis legalization from Colorado? Breen doesn't believe public consumption will increase considerably, but said it's something the city will have to keep an eye on as of Oct. 17. "I think it's going to be interesting to see what changes happen because of this," he said. "I don't expect that it's going to be a real big change in behaviour, but it's going to be interesting to see."